We're taking a look at the interesting new Explosive Bow coming to Fortnite! 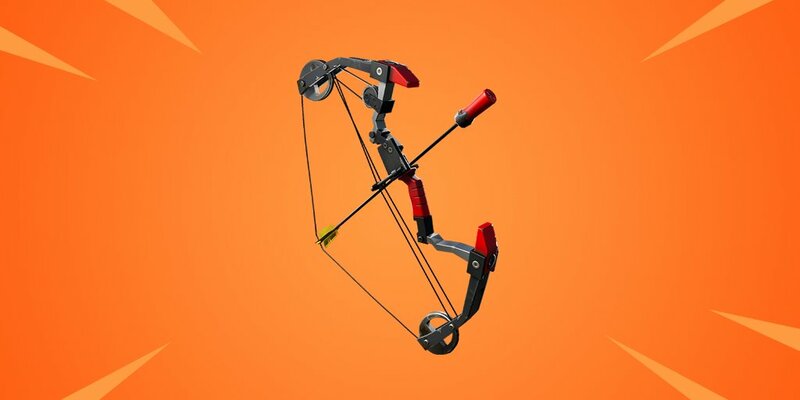 Our Fortnite Boom Bow Guide goes over all the information we know about this new archery based weapon! While the Crossbow was a pretty niche weapon, Epic is likely hoping this next bow will be more of a success. The Boom Bow is a shotgun shell using bow that deals quite a bit of damage if you are able to land a shot to the body or head. It take a bit to get the full charge when you charge it up to fire, but the explosive damage will be consistent regardless. However, if you were to hit a direct shot to the body or head that damage would be reduced. Archery can be a blast! The official information on the bow has been released, and it looks like it uses Shotgun Shell ammunition! It does 100 explosive damage, and if you hit someone with it directly it will add 15 more damage giving it 115 damage to the body and a 2x to the head which ends up being 230 damage. That's pretty powerful, so you can 1-shot people at any health number. Fires Arrows with a Shotgun Shell tip, which explode on impact. The longer you hold the fire keybind down, the stronger the shot! This increases both projectile speed and direct impact damage. Explosive damage is consistent regardless of the power of the shot. The Boom Bow will achieve maximum power after 1.6 seconds of charging. A direct hit will deal both the direct hit damage and the explosion damage to the enemy player it impacts. While we don't have a ton of information on the bow just yet, you can see it somewhat in action with these leaks. The biggest part I'm curious about is how much damage it does, and how big these explosives are going to be. I'm also curious what type of ammunition it will take, if you remember to the Crossbow, that had unlimited ammunition. I'm guessing this bow will end up taking explosive ammo, but we'll have to wait to confirm. If you're curious what it's going to sound like, there's also been a leak on that as well. Some pretty interesting sounds of the arrow whizzing by, and you get to hear some of the explosive noises it will make when it hits the target. There's also sounds for pulling the arrow back fully and a confirmation of a full draw. Evident, where you put how much damage it does… you put one shop instead of one shot. By the way thanks for the info!! !